Deer. Probably one of Ohio's most discussed animals. 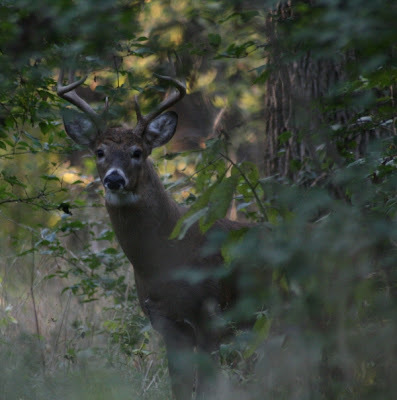 I enjoyed taking pictures of this buck this evening after work in Kenney Park. Quite a handsome specimen. He was closely guarding and sticking with a female as they ran away from me and all the dogs in the park.